The Liberal government is taking steps to stop so-called ‘asylum shopping’, but the new provision may turn away only a fraction of the total number of migrants entering Canada outside of legal border crossing points. Included in the budget implementation bill is a proposed change that would make refugees ineligible to make a claim if they have already done so in another country that the federal government considers ‘safe’ for migrants, and that shares intelligence with Canada. Those so-called ‘Five Eyes’ security partner countries are the U.K., Australia, New Zealand and the United States. About 40,000 people have crossed into Canada from the U.S. outside regular border points over the last two years. Since April 2017, only 3,150 people claiming asylum in Canada had applied previously for asylum in the U.S., according to statistics provided by the government. Of those 3,150 migrants, 76 per cent had crossed into Canada outside regular border points. Some refugee advocates have questioned the constitutionality of the proposed change, since it would limit the legal right of an asylum seeker to a full hearing. They also say a significant change like this should have been subjected to a full public debate, instead of being buried in a budget bill. Prime Minister Justin Trudeau defended the move, insisting that Canadians must maintain confidence in the immigration system and maintaining that every asylum seeker will be treated fairly. The proposed change is part of a $1.2 billion strategy unveiled in last month’s federal budget, which funds various federal departments’ efforts to tackle the surge in border-crossers and make the system more efficient by speeding up the claims process and carrying out deportations of failed claimants more quickly. 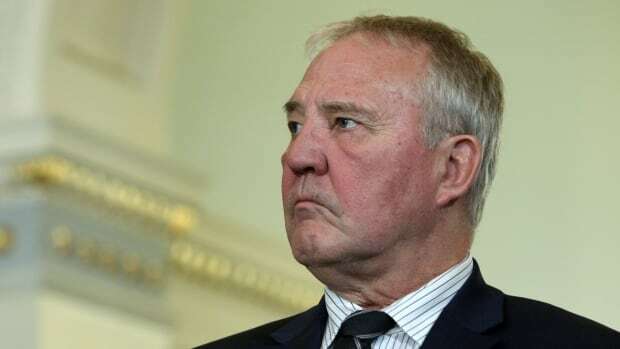 Border Security and Organized Crime Reduction Minister Bill Blair said today that Canada has an obligation to ensure the system works efficiently. The changes will prevent people whose claims have been rejected already from re-entering Canada and starting the asylum process again. It also will prevent those who already have made claims in another country — one with a refugee determination processes Ottawa considers fair and humane — from seeking asylum status in Canada. The Canadian Council for Refugees warned the provisions would place many people at greater risk of being sent back to their countries of origin, where they could face persecution. “The budget bill is no place for substantive changes to the law, especially if, as here, they undermine the basic rights of some of the most vulnerable people in Canadian society,” said CCR president Claire Roque in a statement. Blair’s office confirmed that people subject to removal from Canada will not be sent to a country where they would be in danger of persecution. In keeping with its international legal obligations, the office said, Canada will carry out a Pre-Removal Risk Assessment to determine if it is safe to send individual migrants to their countries of origin, or whether they should receive temporary protected status in Canada. These measures have no impact on the Safe Third Country Agreement. The federal government also has reached out to officials in source countries for migrants, such as Nigeria, to get them up to speed on Canada’s asylum process.